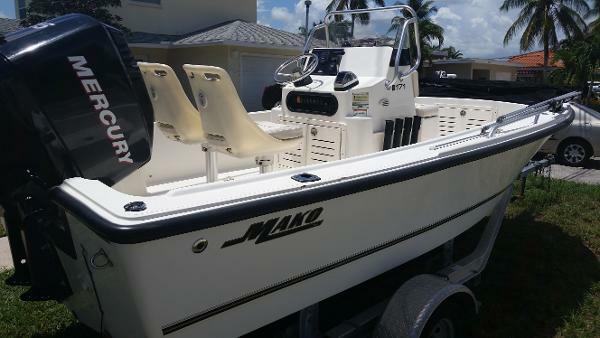 1997 Mako 171 Center Console 4- STROKE. 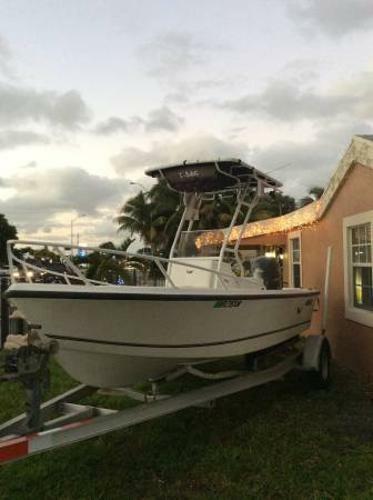 2002 Mercury 115 H.P. FOURSTROKE. 4 STROKE. THIS IS A YAMAHA BLOCK. .2006 ALUMINUM STEP TRAILER.GPS WITH CARTOGRAPHY. FISH FINDER/ DEPTH FINDER. VHF. CD STEREO. T-TOP. SWIM STEP WITH LADDER. CONSOLE COVER. FRONT SEAT COVER. In one form or another, the Mako 171 has been around from the beginning. She's been around and she's done a lot: from a Florida bonefish flat to casting for bluefish off Massachusetts or plugging the sod banks of New Jersey. The 171 performs equally well for the angler, skier and diver. 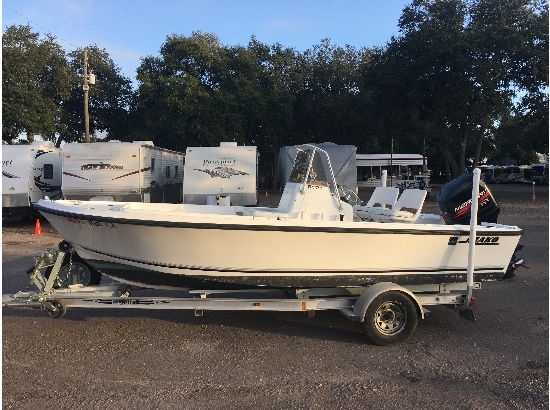 The 171 is packed with fishing features like vertical console rod storage and built-in drink holders; a large casting deck with storage underneath; a livewell and under-gunnel rod storage. 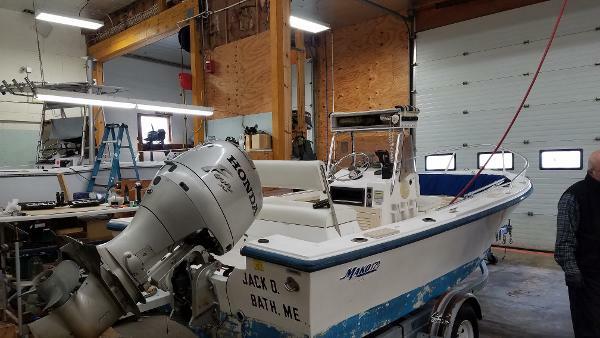 Her square transom keeps everyone close to the fishing action and allows for maximum use of interior space. She is stable, foam-filled and self-bailing. 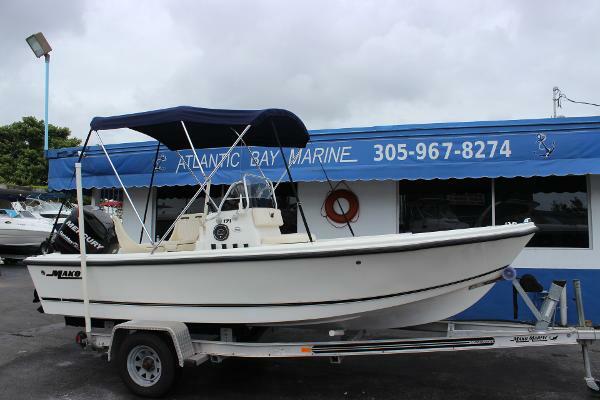 She carries 35 gallons of fuel and performs beautifully and is an unbeatable value with a lighter engine. Easy to trailer, easy to maintain, and with great fuel efficiency, she's trimmed with Mako quality throughout. 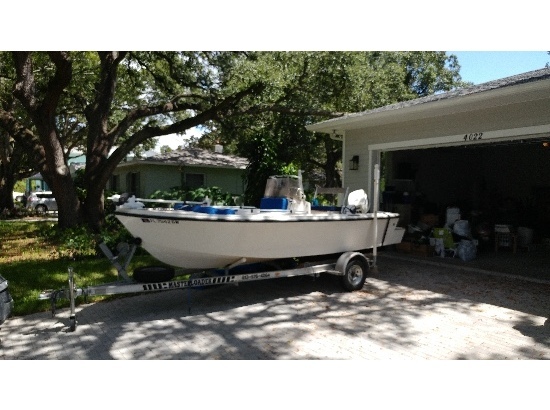 2001 Mako 171 Center Console MAKO 17.1 + TRAILER Sale 2001 mako 17.1 ' Completely renew. 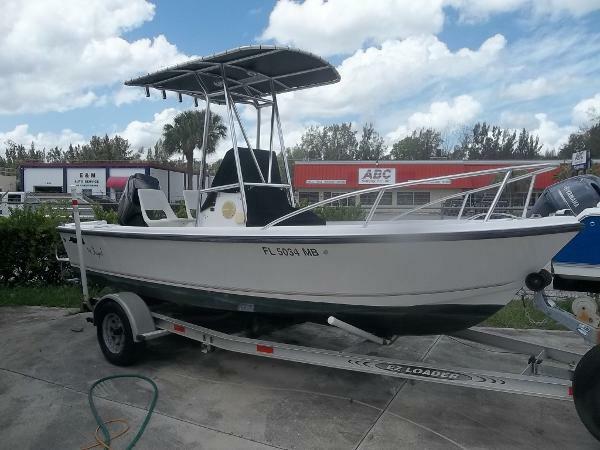 Gps Fish Finder, new upholstery, infinity music system, new t top 7 led light including, brand new hydraulic steering, 2014 aluminum trailer , new tired . 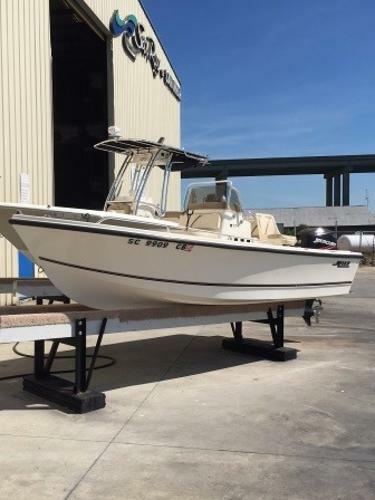 2008 Yamaha 150 4 stroke with 167 original hours .stainless steel propelle . FINANCING AVAILABLE!! !